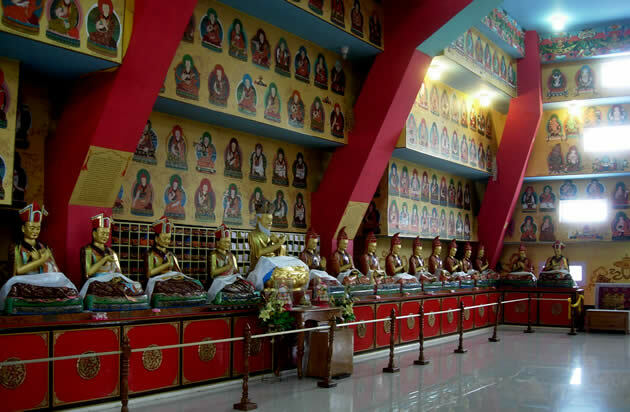 The lineage of Mindrolling is vast and important, historically-connected to many aspects of Tibetan Buddhism and its various lineages. In recording its history, one would also have to record the history of many other familial and practice lineages and other great clans of Tibet. The project of compiling such a detailed history of Mindrolling would require much time and research, resulting in a very long work. Therefore, at this time, we will begin by providing concise information on the history and biographies of the main family members of Mindrolling who were pivotal in preserving and propagating the precious Dharma in general and the Mindrolling lineage in particular. You may download and print a single copy for your own use, but please honor the request that you not print and distribute this document without the express permission of Dharmashri. You may email them at mindrollinginternational.org. Eminent Tibet scholar, Gene Smith discusses the Mindrolling lineage and the phenomena of Terma. Includes historical photos from Tibet and India.